Party Favors for Kids in Maryland | Goodie Bags for Kids! So you have your party planned with all the events, the location, and what you will do, but did you remember the party favors? 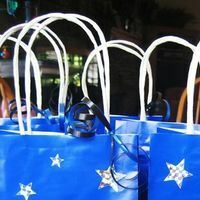 Not to worry, we have put together a complete list to the best goodie bag businesses in Maryland. 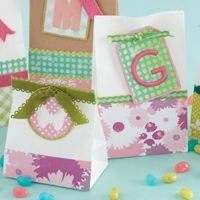 Your guests will love these party favor ideas! For even more services in Maryland that offer party favors, visit KidsParties.Party. Planning your kid's birthday party may be quite hectic. For instance, you need to settle on the perfect location, invite all the guests, buy all the presents etc. However, most parents tend to forget party favors for the other kids invited to the party. In all essence party favors are gifts that guests can take home from a party and have something to remember it by. Well, before your kid's birthday date arrives make sure you choose Party City for the best party favors for kids in MD. 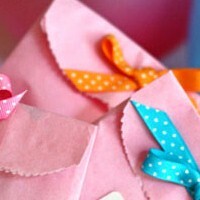 Here you can find all kinds of gift ideas packaged and ready to be added to your party. Don't settle for anything less because at Party City you get the best party favors. All invited guests to any birthday party expect the party to be exceptional. As a party planner, you need to make sure that the party has entertaining events, memorable performances and other acts that keep it unforgettable. 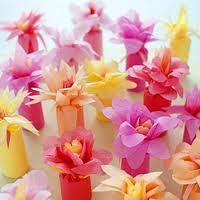 For instance, sprucing up your party with party favors is a very good idea. 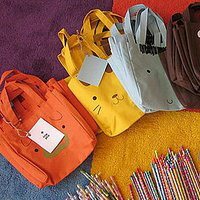 Before you host the party, you need to contact Awesome Bounce of Baltimore one of the most recognized Maryland supplier of party favors for kids. Here, you can spruce up your party with different kinds of party favors such as candy, cake, biscuits or even gifts such as toys for all the kids at the party to enjoy. At your upcoming kid's birthday party, not only the birthday boy/girl needs to be entertained or showered with presents, the guests need to feel the same love. Although the birthday boy/girl may receive the greatest share of presents, you also need to include party favors for kids at the party. For some companies, such as Birthday in a Box, party favors for the guests come as additional presents in aid with the party planning. Thanks to Birthday in a Box, your guests can receive presents and remember the birthday party for a long time to come. Party Works is an ideal party company at the forefront of providing the best party favors for kids in Maryland and the surrounding areas. There is a lot of work that goes into planning the perfect birthday party for your child and with Party Works at your side, your party will definitely be a success. Party works can guarantee that all the guests at the party will be entertained and at the end of the party, all the guests can go home with different party favors. Depending on the theme of the party, Party Works guides you into providing your guests with exceptional party favors to make the whole event memorable. That Bounce Place is renowned for being the premier kids' party business in Maryland. With all types of services to offer, all parents planning their kids' birthday parties in Maryland definitely rely on That Bounce Place for different types of party services such as entertainment, and most especially party favors for kids. 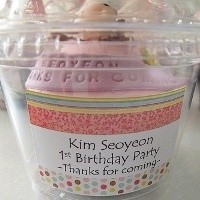 Here, you can choose the different types of party favors for kids depending on the overall theme of the party. 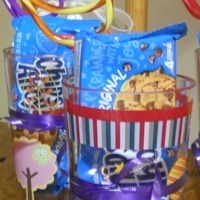 The party favors are well packaged and presented to the kids at the party. Enjoy exceptional party favors for kids from That Bounce Place. It's without a doubt that every parent wants their child's party to be memorable and special. On that note, each parent with an upcoming birthday party for their child needs to plan everything starting with choosing the perfect venue, inviting all the guests, arranging for entertainment events and finally arranging for a business to provide the party favors for kids. Well, if you are looking for the premier supplier of party favors for kids in Maryland, you have come to the right place. Backyard Inflatables guarantees that all birthday parties in Maryland will be memorable with different types of party favors for kids. Located in the heart of Maryland, the Mint Box specializes in providing party favors for all parties in the Maryland area. Whether a birthday party for your kid or a simple party where your kid is involved, the Mint Box is the one-stop-shop for all party favors. For your child's upcoming birthday party, the Mint Box is prepared to provide exceptional party favors for any theme your party may be based on. 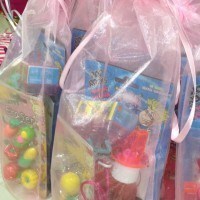 Bizzy Bounce is the number one stop shop for all types of party favors for kids in Maryland. Being a premier kid's party entertainment supplier, Bizzy Bounce is at the forefront of making numerous parties memorable. For your child's upcoming birthday party, Bizzy Bounce should definitely be your first choice for all the party favors. With so many party favor ideas to choose from, you can be guaranteed that Bizzy Bounce will definitely make the party successful. Planning your child's upcoming birthday party can be less hectic if you have a checklist. For instance, choose the perfect venue, invite all the guests, buy all the snacks and food and finally choose different party favors for the kids at the party. Choosing party favors may be a difficult decision but Pump it Up is ready to assist. With different party favor ideas to choose from, contact Pump it Up and arrange for different party favors for the birthday party. Your child's upcoming birthday party must be very exciting. As the party planner, you must have checked all the items from your list but make sure you don't forget about party favors for kids. 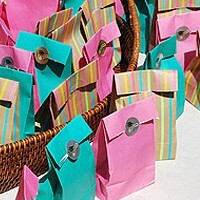 Party favors are simply a way to make sure the guests at the party appreciate attending the party. 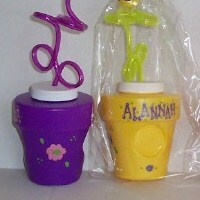 Looking for the best Maryland supplier of party favors for kids? Mikco's Cool Bounce is definitely what you have been looking for.